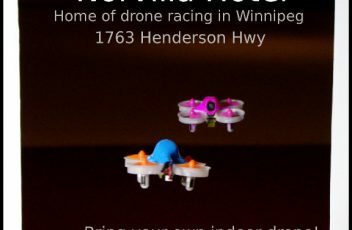 WINNIPEG FPV – Winnipeg's Drone Racing Community! Wednesday Whoop Nights are Back! Whoops and Wings is back for Winter 2018-2019 Season! These take place every Wednesday 6-10PM, in the basement of the Norvilla Hotel 1763 Henderson Hwy. This race is open to all ages and skill levels. Spectators are welcome. Food and beverages available from the bar upstairs. 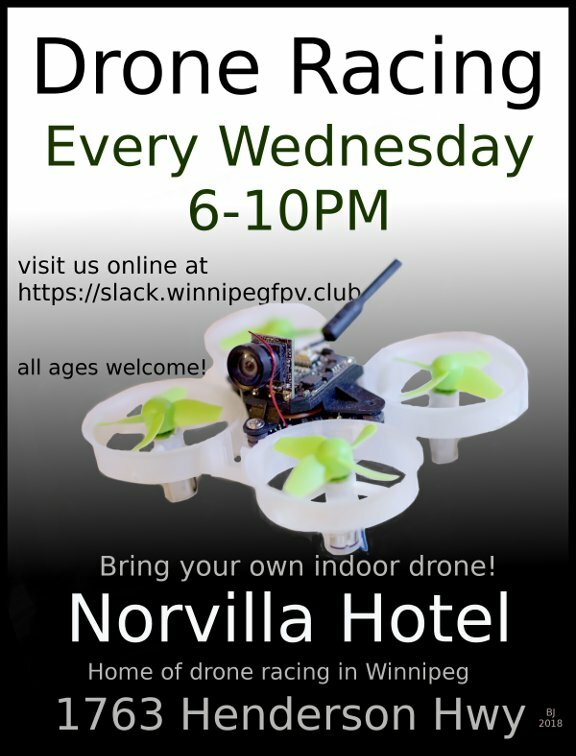 Bring your indoor safe drone and join the fun. Recommended 1-2s with protected props. This year we’re seeing a lot of brushless 1s or 2s whoops like the Mobula7, TinyHawk, and Beta75x. Tons of fun! 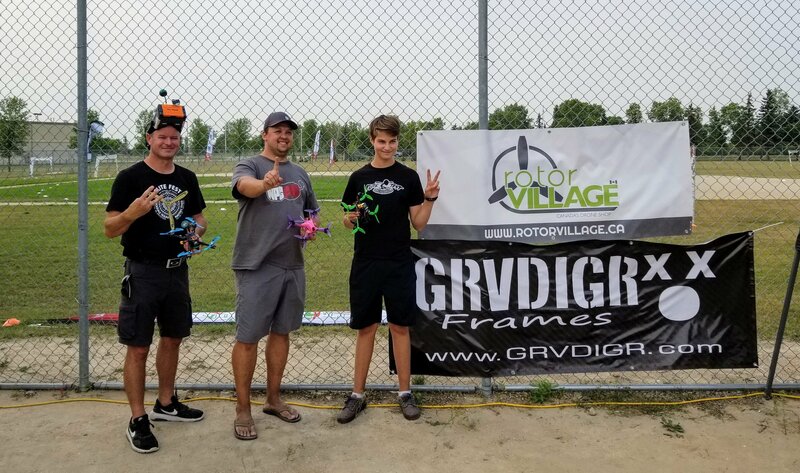 Sign Up Using The MultiGP Website Here! What a great day of racing! 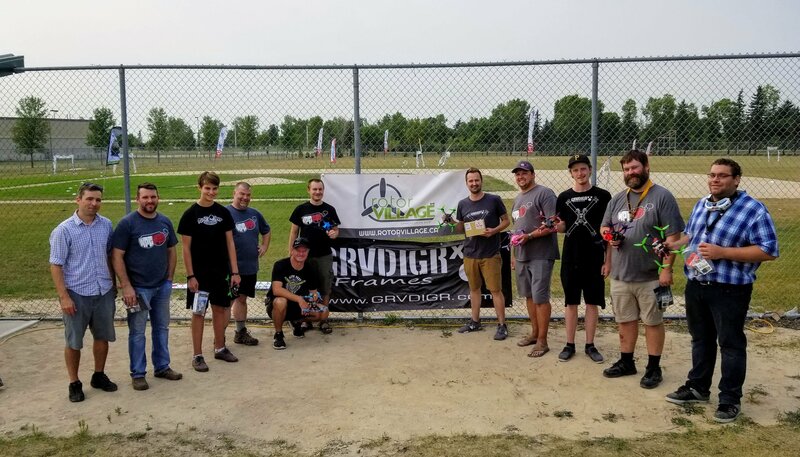 Huge thanks to our sponsors SN Hobbies, Grvdigr, Rotorvillage, and RacedayQuads who helped make this event awesome! 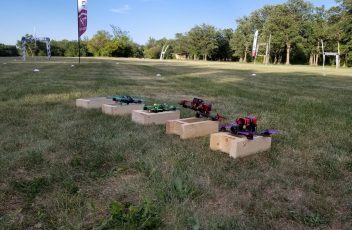 Most of all thanks to our pilots and everyone who showed up to help setup and teardown the track. We have have a great group of guys that worked together to help make this event possible. 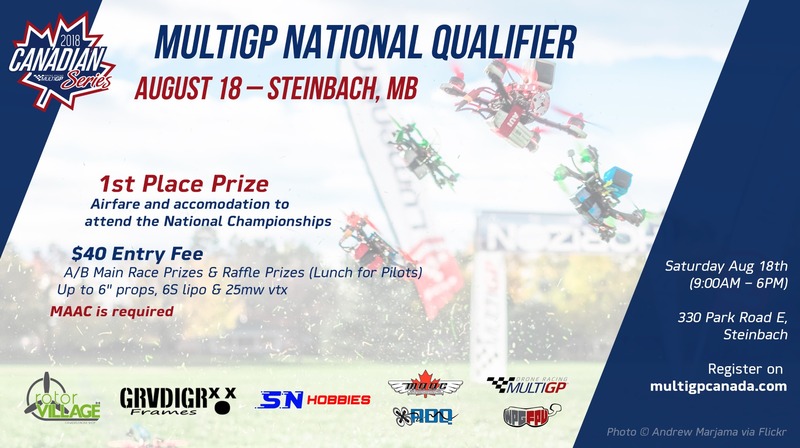 The Central qualifier is being hosted by our chapter, Winnipeg FPV on August 18th. The event will feature A and B main races with prizes as well as a ton of raffle prizes eligible to all pilots! Lunch will be provided for pilots. Spectators are within walking distance to Tim Hortons and a block from McDonald’s. 6. A MAAC membership is required to fly at this event. There will be a $40 pilot fee collected during check-in. This is to help cover field rental event and lunch costs. What type of drone do I need? Any quad frame and propeller size. Up to 6s Lipo. A video transmitter (vtx) no greater than 25mw in power. Please ensure you have your failsafe setup properly. We will be testing everyone’s equipment during check-in. Please be prepared to demonstrate failsafe with props off. 9:00 AM Pilot Check-in and Safety inspection as course is being setup. $40 pilot fee will be collected on check-in. Cash or Paypal via your phone accepted. Generator(s) will be onsite for charging. Bring your own extension chord and power bar to hook up to it! Spring has finally arrived. Outdoor meetups have begun! We’ll be getting together weekly to race and fun fly on Thursday’s from 5pm-dusk. 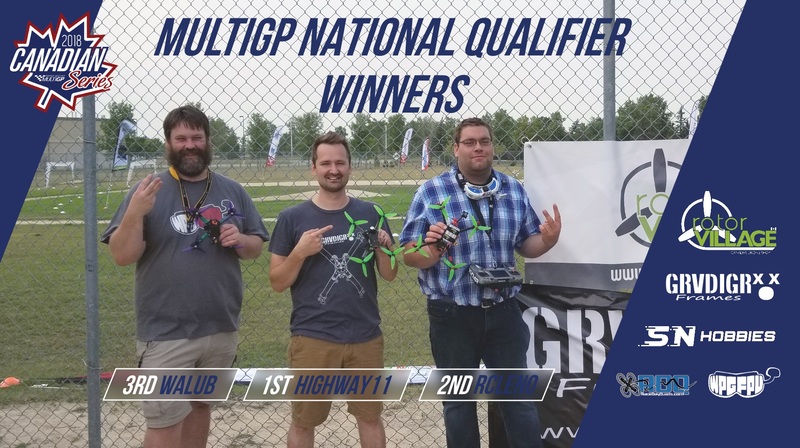 Make sure to check our MultiGp Chapter, Slack, and Facebook group to stay up to date on what’s happening, and come check us out.